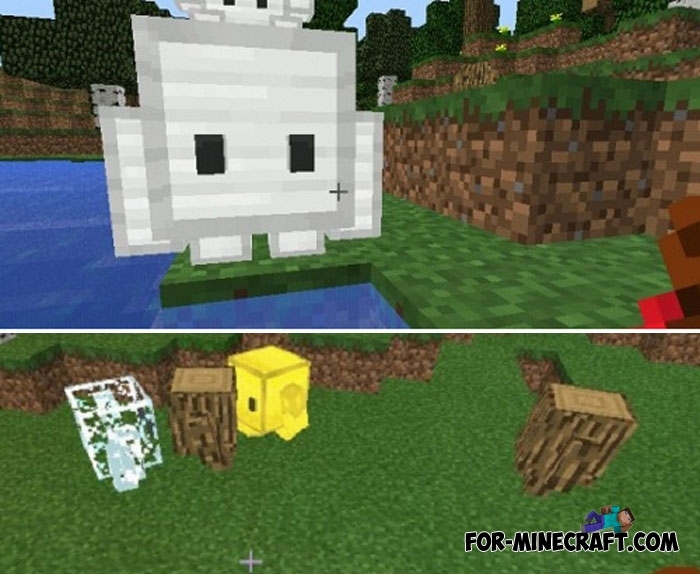 Blokkits are cubic assistants for any player who is looking for a partner or a simple pet. You need to understand that this is an addon and there are not many modification functions (Blokkit mod) that are available for older versions of Minecraft PE. But one way or another the Blokkits addon adds 9 types of blokkits endowed with unique behaviors and also consisting of a certain material. Unlike the mod where you can give instructions to blokkits, here you have a fairly limited list of opportunities. For example, tame an iron blokkit and it will become your good and lasting guard. As long as you are both alive, it will protect you from any threat including the strongest creatures in Minecraft Bedrock Edition. Blokkits do not stand still and live their own lives. They can eat, breed and explore the world. Tame them and create an entire army since some blokkits are always hostile to the player and to other blokkits. How to install the Blokkits addon? 1. Open the file using Minecraft Bedrock.